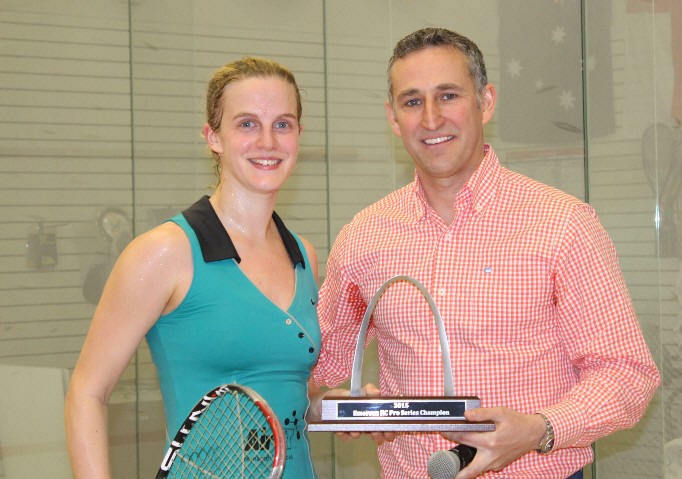 Top seed Emma Beddoes beat Kanzy El Dafrawy to take the Emerson RC Pro Series title at the Racquet Club of St Louis, the tenth and biggest WSA win of her career. Very close first game with Kanzy taking an early 9-3 lead only to see Emma slowly clawing her way back to level the score 9-9 Kanzy getting the first game ball but losing out with a stroke to level the game, two long rallies later the last point was also exchanged via a stroke with Kanzy taking the first game 13-11 in 20 mins. The first game took its toll on Kanzy as Emma extended the rallies to good effect taking the second game 11-5. Kanzy mounted a comeback in the thirs keeping the game level until 7-7, but at that point it was clear that fatigue was a factor with Emma taking the game 11-8. The final game was a one sided affair as Emma pulled away with the win and title 11-2. 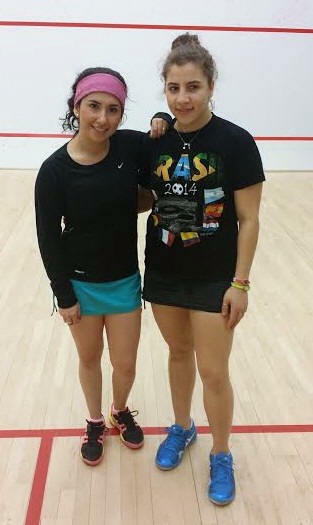 The toughest match of the tournament so far Kanzy El Dafrawy pulled out a 3-2 win over second seed and World No. 21 Joshana Chinappa in a close fought match littered with lets, dives a blood break and plenty of emotion. 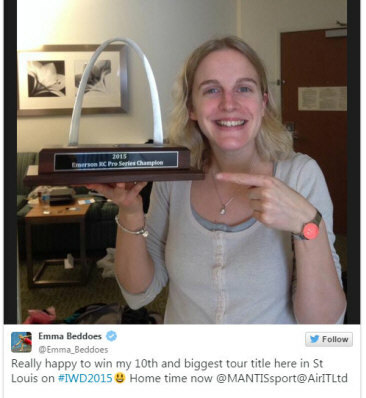 Top seed Emma Beddoes continued her winning ways in the quarter final of the RC Pro Series with a comfortable 3-0 win over the young Egyptian Nadine Shahin, and she'll meet Line Hansen for a place in the final after the Danish third seed beat Aisling Blake in straight games. 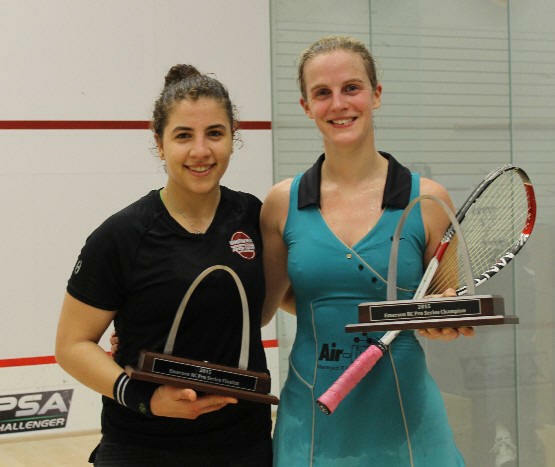 In an impressive display of squash, Trinity No.1 Kanzy El Defrawy took control of the court and last year’s RC Pro Series champion Misaki Kobayashi with a devastating mix of control and power, she looks to be on form and the player to watch going forward in this event. 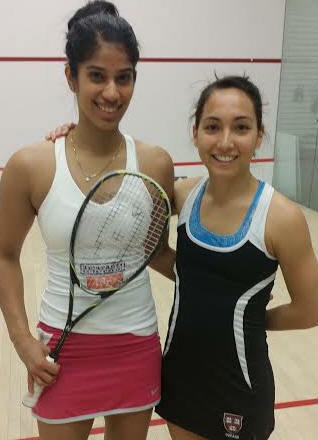 She'll face second seed Joshana Chinappa in the semis. 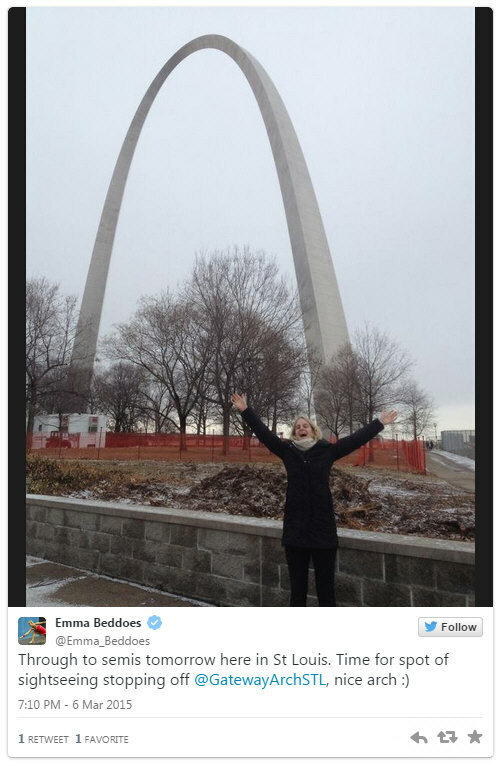 Top seed Emma Beddoes, following her big win in Chicago was back on court today in St. Louis with a decisive win over Maria Toor Pakay. In the first matches of the evening session we saw the 2014 RC Pro-Series champion Misaki Kobayashi take control of the court and her opponent winning her first round by a comfortable 3-0 margin. 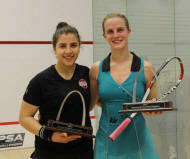 The second match was more of a one sided affair as Trinity No.1 Kanzy El-Defrawy dominated Ivonne Diaz 3-0. 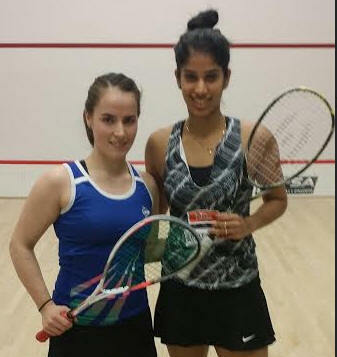 Second seed Joshana Chinappa used all her experience to get by a very determined Cecelia Cortez by a score of 3-0, Cecelia showing improvement as the match progressed, just missing out in the last game by a score of 12-10.